Tango is a social and partner dance that originated in the city of Buenos Aires, where, together with its music, poetry and culture, the population consider it their identity. To learn it, you will embrace not only your partner, but Tango itself, its music, culture, and home city. In my classes, I will guide you into the beauty of Tango music, how to interpret this music with your body, how to enter the dance floor and stay there while you dance. I am going to guide you into the embrace of your partner, into the society of the milonga (Tango dance party), into the culture of Tango, and into the city of Buenos Aires. In the second half of the eighteenth century, when Tango appeared for the first time, the main social dance was the waltz. Tango continues and intensifies many of the elements already present in the waltz, for example, taking the proximity between partners to the limit and making them dance in close embrace. Another element already present in the waltz is the line of dance, in which all the couples on the dance floor circulate in a counterclockwise direction. Tango also incorporated this, but now the couples do not have to be continuously moving. Now, dancing Tango, they have more freedom and a more creative use of the space. In order to make you understand “with your body” these characteristics of Tango, and educate your sensitivity in regard to these and many other elements that shape Tango to be what it is: “A unique manifestation of the human potential”, I will train you with exercises and concepts. 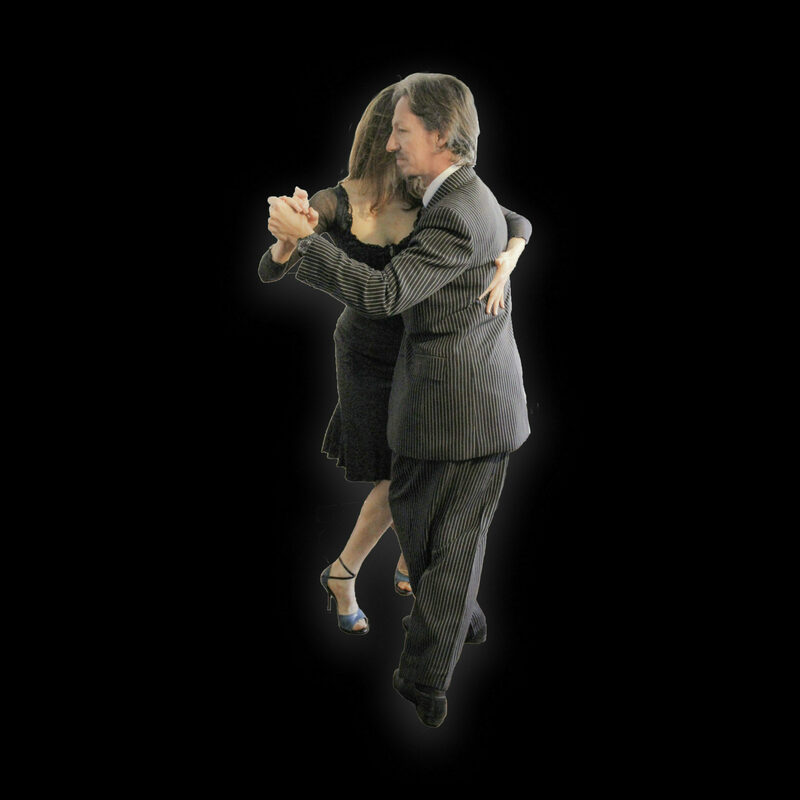 If you have the desire, the passion, the stamina, the perseverance and the necessary patience, I will help you be a part of Tango, to be Tango yourself, to be a “milonguero” or “milonguera”. In response to those who get disappointed because I insist in improving our walk and ask me with a disappointed tone: Is then Tango “JUST” walking? Yes! If you got nothing inside you: no emotions, no passion, no feelings, if you are an empty shell, if you are a robot that only works and tries to take advantage of everybody… yes… it’s “JUST” walking, as you expressed. But, if you are a HUMAN BEING, with capital letters, is not. Your walk is yourself. The way you walk expresses who you are. If your walk is only utilitarian, your whole life probably is the life of a tool. Tango challenges you to make of your walk -and your entire life- a work or Art. You may like also reading “Tango is passion”, click here. And “Walking, dancing, body and words”, click here.